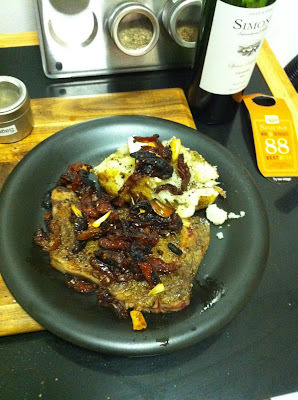 Let me preface this entry by saying this recipe is not for everyone, least of all steak purists. Certainly almost every steak I make is seasoned with salt and pepper and that's it. However, over time I hope to share the five or six other ways I prepare steak. So far I haven't seen this particular combination in many recipes, but I think sage and paprika are great compliments. The relaxed heat of paprika settles in with the late afternoon smell of sage in a way that makes the back of my tongue light up and my nostrils flare. 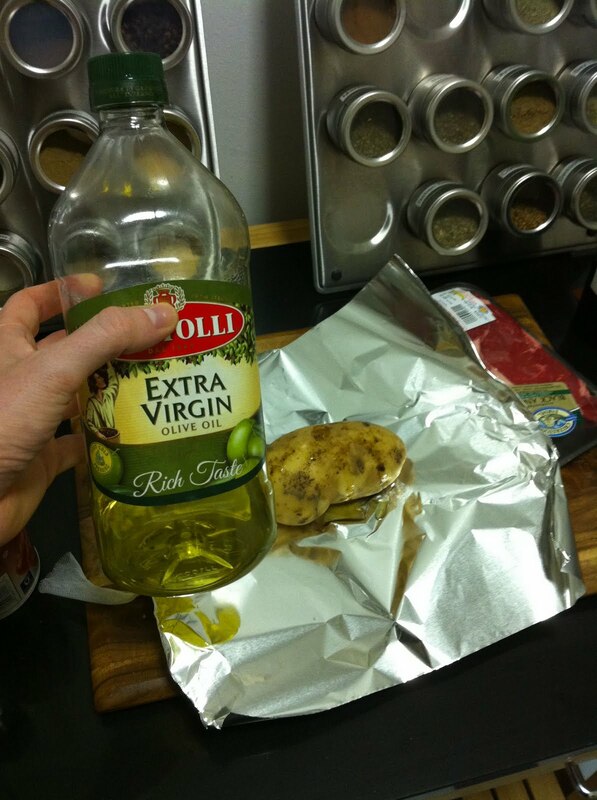 For the baked potato, I pre-heat the oven to 450 degrees, put the potato on foil, lightly coat with olive oil, and punch a few holes in it with a fork. Then it's into the oven for an hour. 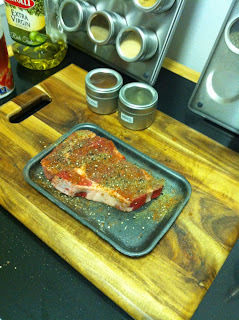 While that's cooking up, spread paprika, sage, salt, and pepper on both sides of the steak. I like to let the spices sink in for a half hour to 45 minutes. Slice the garlic cloves crosswise so you get some thin ovals. I often forget to do this, but you should preheat a cast iron skillet while you're slicing the onions. It takes a while longer for them to heat up to the right heat. Once you've got it going, coat the bottom in olive oil and heat until it shimmers. Then add the garlic. 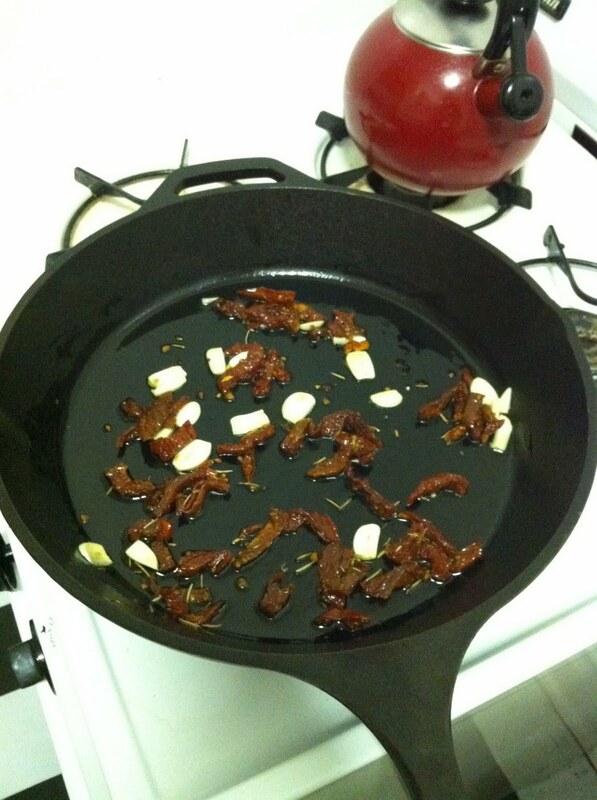 While that's cooking up, slice up a handful of the sun dried tomatoes, then drop them in with the garlic. Give this five to ten minutes, then push the garlic and sun dried tomatoes out to the edges of the skillet. 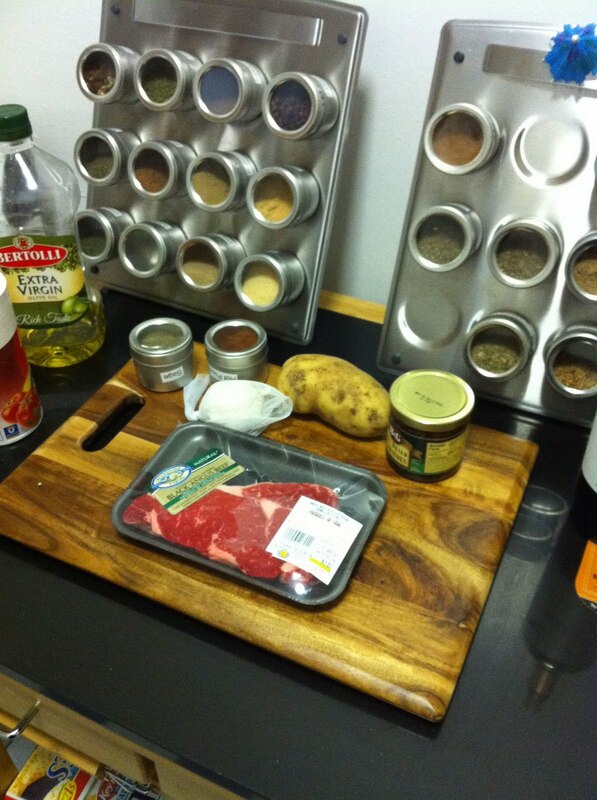 It's time to cook up the steak! I like mine rare, so I only kept it on heat for about three minutes one side and three the other. Pop out the potato, open it, and pour the sun dried tomatoes and garlic over the steak and potato. You're done! Of course you don't want to have your steak without some nice red wine. With this I had a Simone International Selection Carmenère from the Henriquez Hermanos Winery. 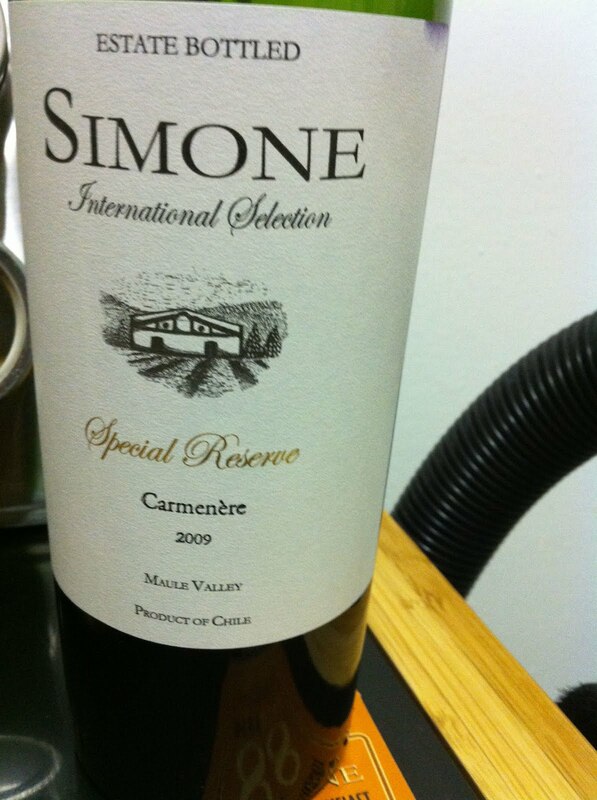 Carménère comes from a rather rare grape varietal once thought lost! This looks delicious. Good instructions and description!